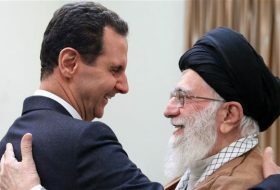 March 29, The Iran Project – The following lists all the agreements and Memoranda of Understanding (MoUs) signed between Iran and other countries in political, economic and military related fields. Ordered by time, it also may not reflect all of the cooperation agreements. In total, Iran has singed tens of cooperation agreement with over 20 countries in the Iranian year of 1396 (2017-2018). A Memorandum of Understanding has been signed between Iran and Germany in the field of conducting joint research on water. The Islamic Republic of Iran Shipping Line (IRISL) signed a Memorandum of Understanding with two Japanese logistic and port service companies in Singapore. The Iranian and Slovak culture ministers signed a memorandum of understanding in a bid to boost cultural relations between the two countries. Iran and Russia signed a memorandum of understanding on cooperation in the fishery sector. The MOU was signed in Tehran by Hassan Salehi, the head of Iran’s Fisheries Organization, and Vasily Sokolov, the deputy head of Russia’s Federal Agency for Fishery. 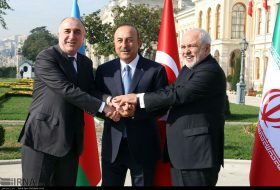 Iran and Georgia sealed three memoranda of understanding in sports, agriculture, communication and information technology. A memorandum of understanding was signed by Iran’s Parliament Speaker Ali Larijani and his Kyrgyz counterpart Chynybai Tursunbekov on expansion of parliamentary cooperation in various fields. Transmission and Distribution of Electric Power in Iran (Tavanir) and South Korean KEPCO Company signed memorandum of understanding in the field of electric industry in Tehran. Iranian and Japanese environment officials in a meeting in Tehran signed a memorandum of understanding to boost their cooperation on harnessing dust particles and dust storms. 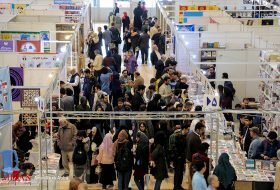 A memorandum of understanding was signed between Iran’s Bon Rail Company, a rail passenger transport firm affiliated with Iran’s Mostazafan Foundation and German rail company Deutsche Bahn AG on the sidelines of the Fifth International Exhibition of Rail Transportation, Related Industries and Equipment, which was held in Tehran on May 15-18. Iran’s Technical and Vocational Training Organization (TVTO) and the International Training Centre of the ILO (ITC/ILO) have signed a cooperation agreement. The Memorandum of Understanding (MoU) was sealed on the sidelines of the 106th Session of the International Labor Conference, June 2017. The National Iranian Oil Company (NIOC) and Italy’s Eni Company signed a memorandum of understanding for Eni to carry out studies over Kish and Darquain fields in Iran. ased on the deal, Eni will carry out appraisal studies for developing the two fields and will seek out Iranian or foreign partners for the project, said Ali Kardor, managing director of NIOC, during the signing ceremony of the MoU. Iran’s Industrial Management Institute (IMI) and Gladzor University of Armenia have signed a MoU in Tehran for expansion of training and consultation collaborations. Iran’s Airtour Airlines has signed a memorandum of understanding for 45 Airbus A320neo aircraft, Airbus said, in a deal unveiled at the Paris Airshow. Khuzestan Regional Electricity Company (KREC) has signed memorandum of understanding (MoU) with French investing company of “Green Coast Solution”. Iran and Armenia inked a cooperation document to enhance scientific, research, educational and technological cooperation between the two states. National Iranian Oil Company (NIOC) has signed a memorandum of understanding with a consortium comprising Japan’s engineering major Toyo and Petropars Company for rehabilitation of facilities and upgrading of gas production of Salman Oilfield. National Iranian South Oilfields Company and Russia’s Zarubezhneft signed a new Memorandum of Understanding for oil field study in Iran. According to the agreement, Zarubezhneft company will study two Iranian oil fields of Shadegan and Rag-e Sefid in the southwestern province of Khuzestan. 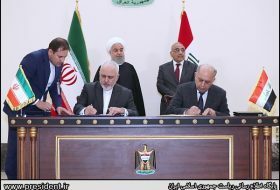 July 23 – Iran, Iraq sign MoU on defense coop. 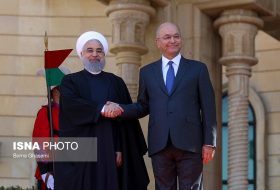 A memorandum of understanding on defense-military cooperation has been signed between Iran and Iraq in Tehran. The MoU was signed by Iranian Defense Minister Brig. Gen. Hossein Dehghan and his Iraqi counterpart Irfan al-Hayali who headed a delegation to Tehran aimed at expansion of defense and military cooperation. The interior ministries of Iran and Iraq signed a memorandum of understanding to promote cooperation in handling the religious rituals for this year’s Arbaeen, a major Shia occasion marking the 40th day after the martyrdom anniversary of Imam Hussein (AS). Iranian and Armenian high councils of free trade and special economic zones signed a memorandum of understanding to help promote cooperation between Aras and Mogri free trade zones. The Industrial Development & Renovation Organization of Iran (IDRO) and Russian Trade and Economic Development Council (RTEDC) sealed MoU for cooperation in steel, mine, oil and gas fields. Sept 24 -Tehran, Ljubljana ink MoU on educational coop. Iran and Slovenia signed a Memorandum of Understanding to hold courses on language, Iranian studies and to exchange professors and students. Iranian and Armenian officials signed three memoranda of understanding (MoUs) in veterinary, Technology and culture in Tehran. 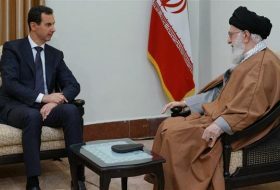 Chief of Staff of the Iranian Armed Forces Major General Mohammad Baqeri signed a military cooperation memorandum of understanding with his Syrian counterpart General Ali Abdullah Ayoub in Damascus. Iran and Britain signed a Memorandum of Understanding to construct and modernize medical centers to treat cancerous patients in Iran. Chairman of Industrial Development and Renovation Organization (IDRO) Mansour Moazami and Vice-Chairman of Russian Gazprom Company Vitaly Markelov singed a memorandum of understanding on oil, gas and energy fields. 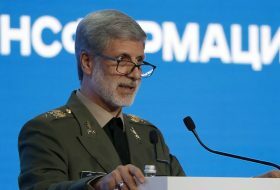 The Islamic Republic of Iran and Austria prepared the blueprint of a memorandum of understanding (MoU) on the expansion of security cooperation between the two countries. Iranian and Danish companies inked 3 Memoranda of Understanding (MOUs) at the venue of Ministry of Energy. The agreements covered water issues, including management and supply. Iran and Russia signed a memorandum of understanding (MoU) in Saint Petersburg aimed at boosting all-out ties between the two countries. An Agreement on persuasion and support for investment between Iran and Hungary and joint venture contract and investment in the field of agriculture were signed between private sectors of the two states. Iranian Mustafa prize and Indonesian Nahdlatul Ulama signed a memorandum of understanding to promote cultural, scientific and technological cooperation with the intention of developing the world of Islam. Italian experts from Restauratori Senza Frontiere (Institute of Restorers Without Borders) have joined Iranian heritage authorities to restore the Persepolis historical monument located in Fars Province. Kamran Ahmadi, the head of Research Institute of Cultural Heritage and Tourism, announced that Iran’s Cultural Heritage, Handicrafts and Tourism Organization and Persepolis World Heritage Base signed a memorandum of understanding with the Italian institute on Monday to receive their scientific, educational, research and technical assistance. Iran and Belarus have signed eight memoranda of understanding expanding from medical cooperation to car manufacture during a joint economic commission in Tehran. Municipality of the Iranian province of Qazvin and South Korean company ‘Texa Resource’ signed a memorandum of understanding on urban waste management field. 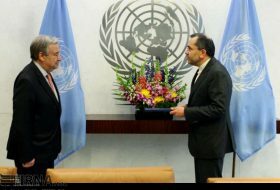 Iran’s Head of the Plan and Budget Organization Mohammad-Baqer Nobakht and UN Under Secretary General Shamshad Akhtar signed an MoU on establishing Asian and Pacific Centre for the Development of Disaster Information Management (APDIM) office in Tehran. 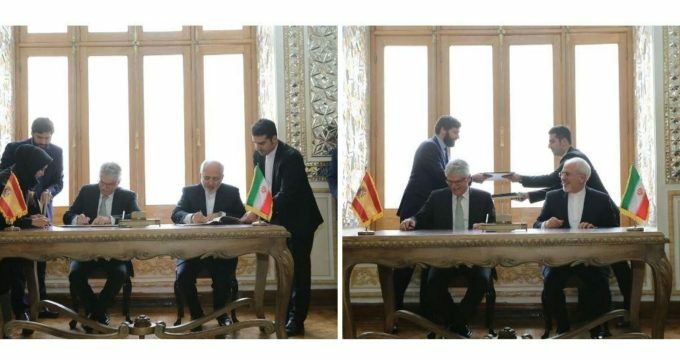 Two memorandums of understanding on politic and railway transportation were signed by the Iranian Foreign Minister Mohammad Javad Zarif and his Spanish counterpart Alfonso Dastis. A Memorandum of Understanding was signed in the field of petrochemical investment between Khuzestan province’s Governor-Generalship and Turkish GAMA Company in Izeh sub-province.